Jim Ivers is the senior director of marketing within Synopsys' Software Integrity Group where he leads all aspects of SIG's global marketing strategies, branding initiatives, and programs, as well as product management and product marketing. Jim is a 30-year technology veteran who has spent the last ten years in IT security. 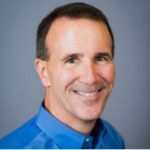 Prior to Synopsys, Jim was the CMO at companies such as Cigital, Covata, Triumfant, Vovici, and Cybertrust, a $200M security solutions provider that was sold to Verizon Business. Jim also served as VP of Marketing for webMethods and VP of Product Management for Information Builders. Posted in Data Breach, Open Source Security, Software Composition Analysis | Comments Off on Open source vulnerabilities: Are you prepared to run the race? Posted in General, Open Source Security | Comments Off on If you’re only as strong as your allies, should you trust third-party code?